It's April Inspiration week at Lawn Fawn! Today we are kicking things off with the super cute Rain or Shine Before 'n Afters set. This set is designed to work with the Magic picture changer die but it is also great super cute on regular cards as well. 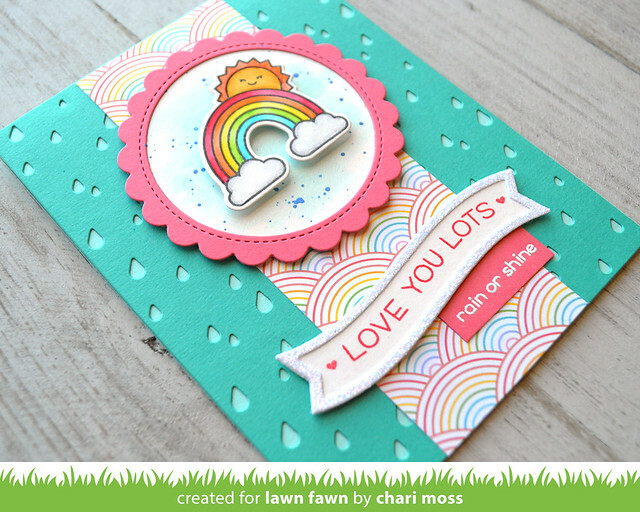 I have a happy card to share with you today using the cute little rainbow. I made a metallic watercolor background with splatters for my colorful rainbow and sunshine and framed it with a stitched scalloped frame cut from Guava cardstock. The card base is created from Mermaid cardstock with a rainy backdrop panel cut from Peacock cardstock layered over top. I added a strip of 12x12 Really Rainbow scallop paper in Unicorn Mane down the center to anchor my elements. The sentiment is from Wavy Sayings stamped in Guava ink. I added the wavy banner frame in pixie dust cardstock for some added shine and head embossed the smaller sentiment on Guava cardstock. 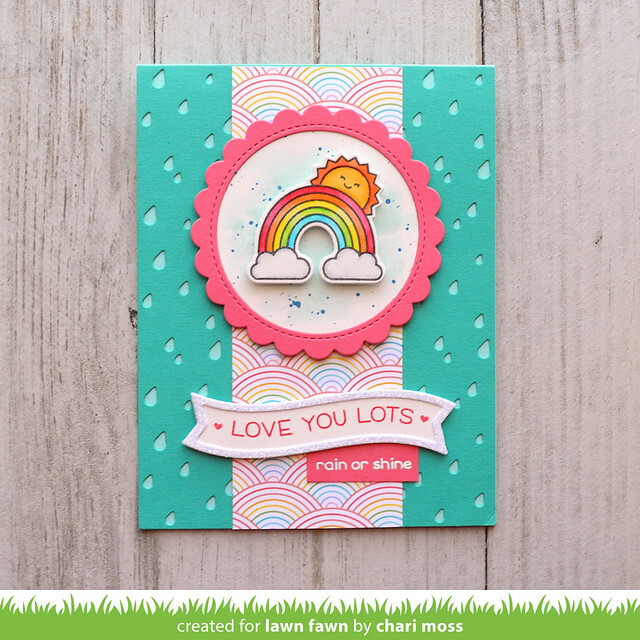 Be sure to check out the Lawn Fawn blog for more Rain or Shine projects and you can see just how this card came together as part of today's intro video!